Some meals just have that home-cooked, hearty comfort food feel to them. 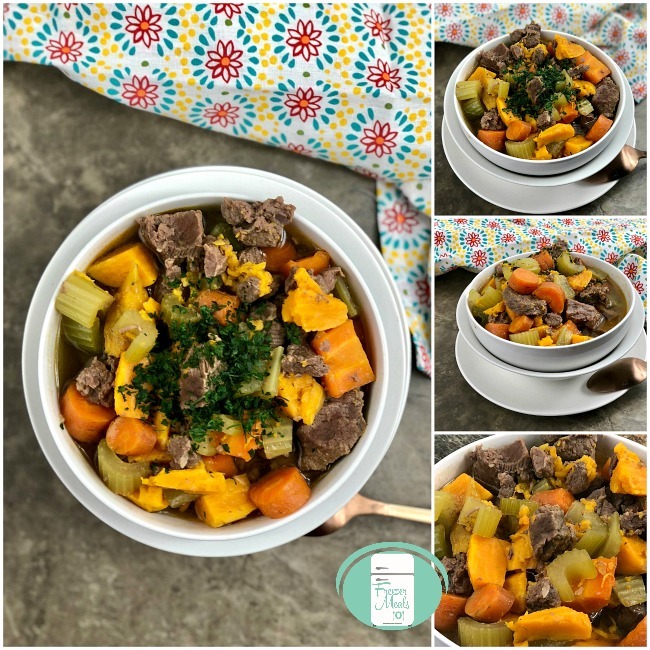 This freezer to crock pot beef stew recipe is one of those meals. It’s an easy weeknight family meal. 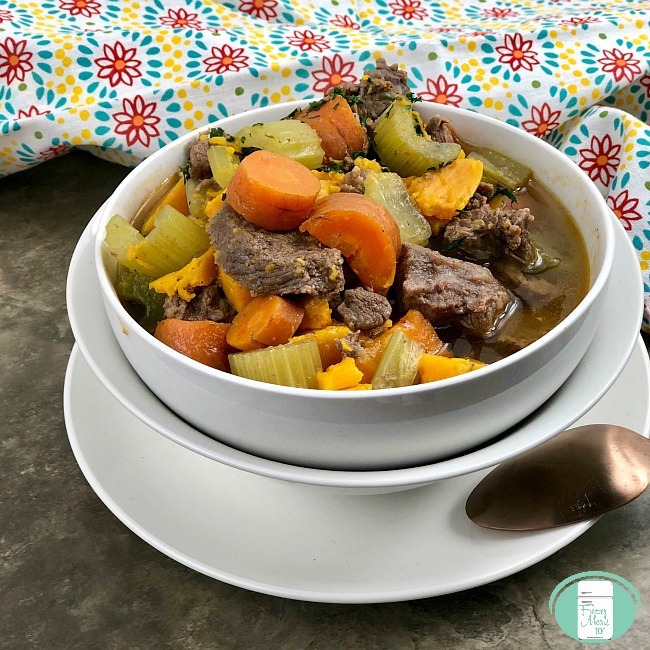 This beef stew is a great one dish meal full of chunky vegetables. It is especially nice to have on a cold winter’s night. There is just something about a soup or stew that brings that warm comfort feeling. *Be sure to use gluten free Worcestershire sauce if you are wanting to make this stew gluten free. Before putting together this freezer meal, chop the onions, peel and dice the carrots, peel and cube the sweet potato, and dice the celery so that everything is ready to toss into the bag. I like to make the veggies in bigger chunks than what I would do for a soup, but this is a preference thing. Feel free to cut them in the size that works best for you. 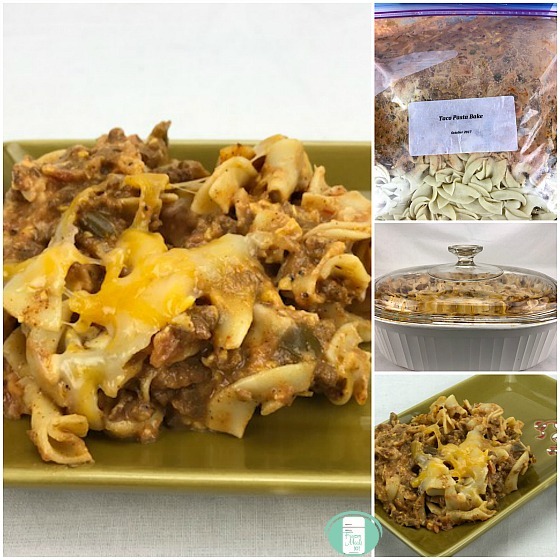 To assemble this crock pot beef stew recipe, dump the beef stew meat into a large resealable bag before adding the other ingredients. Remove the excess air from the bag, seal and freeze. On the day of cooking, take the meal out of the freezer to thaw. 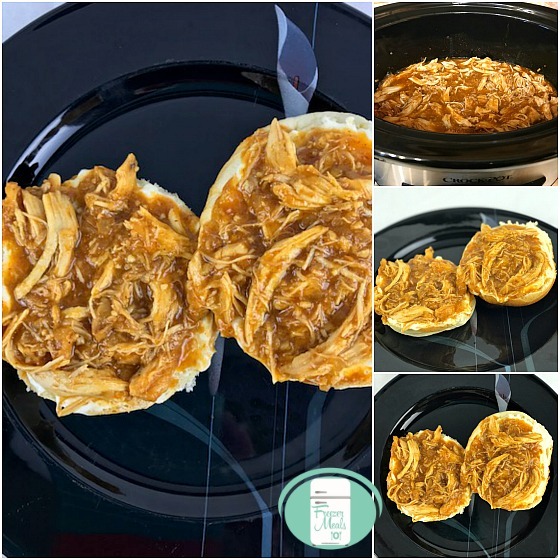 Cook in the slow cooker for 5-7 hours on low. You can serve this slow cooker beef stew with buns or on its own. 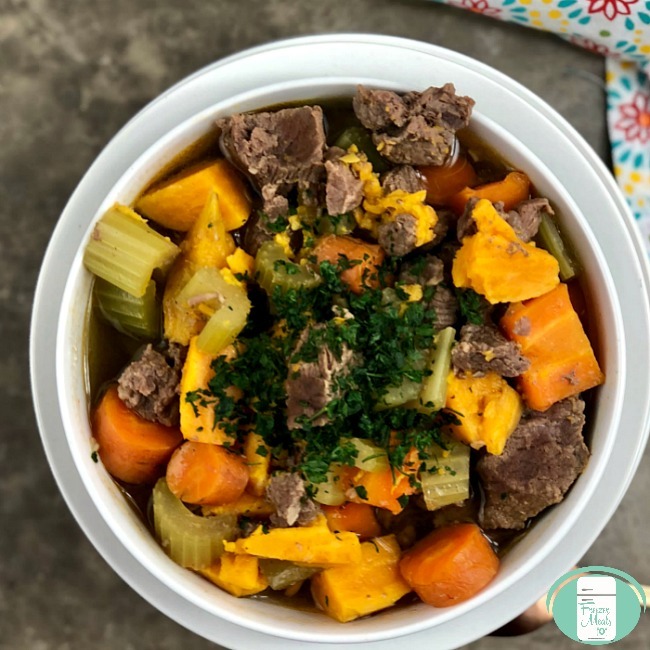 This crock pot beef stew recipe is one of the recipes included in our popular Beef Dump Recipes book.